As I said the cupcakes at our Spooky Luau deserve a post of their own. 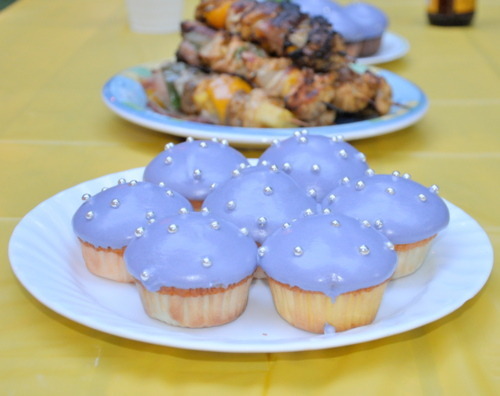 We were inspired to make them for a friend’s birthday - her favourite colours are red and purple and since red it a little hard to make with cupcakes we decided on purple icing. Upon shopping at the Bulk Barn for piñata stuffing we came across some lovely silver balls (is there a way to say “balls” that sounds more classy? spheres maybe?). 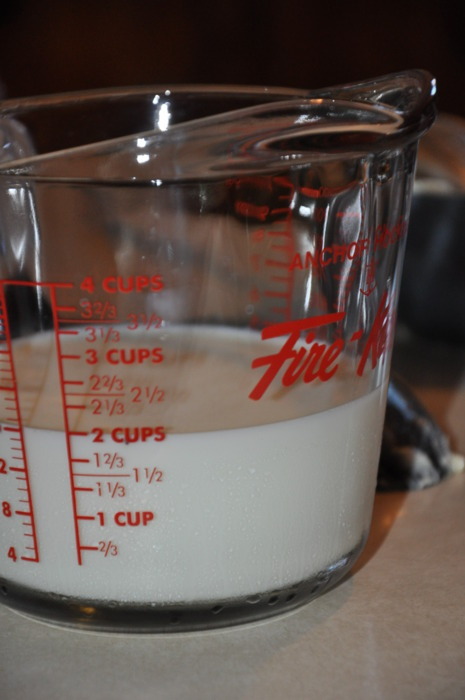 We started with the batter using my Fire King and hand blender (side note: Fire King is the best - anything that can multi-task as a measuring cup, cookware and beer stein is ok in my books). 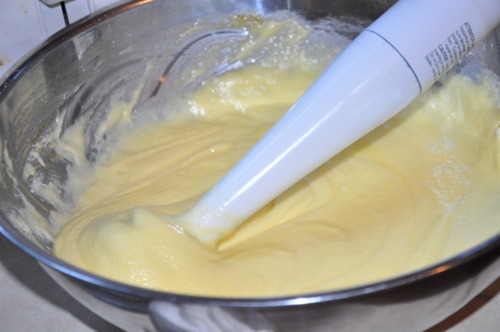 I suppose one is supposed to use a Mixer for the batter but damn those things are expensive: Almost $400!. The hand blender worked out just fine for only $30 - plus it can make smoothies. 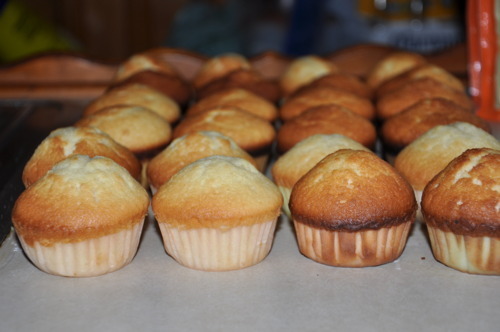 The cupcakes turned out perfectly and we set them to cool on the counter. Thanks JS! Then came the making of the icing - the key here is to gradually add the icing sugar. Don’t be scared if it looks weird, it will get over it. We dipped the cupcakes in the icing instead of spreading it with a knife which proved to be quite easy however we didn’t get that fluffy look to them as in straight-from-the-Magnolia-Bakery cupcakes. I feel like Magnolia is shorting us the real recipe so we will still flock to their bakery. They call it buttercream frosting however there is no buttercream in the recipe! ?